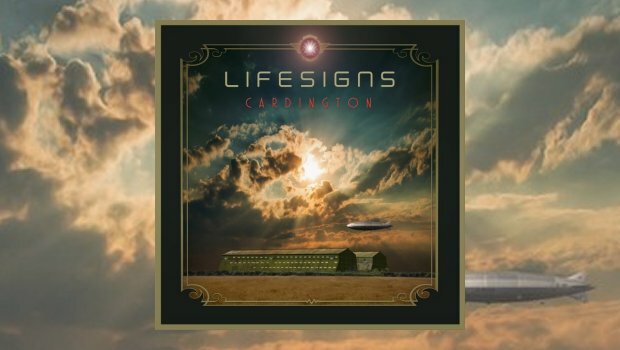 Cardington is the second studio album from John Young’s Lifesigns after their debut in 2013 and the subsequent Under The Bridge live set in 2015. 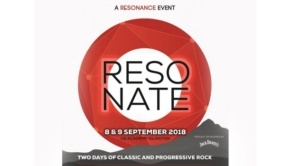 The album was largely funded via a pledge music campaign that met its target in just 48 hours, the result being a 49-minute long, seven song suite, the epic title concerning the R101 airship disaster of 1930 with a title that takes its name from the site of the Royal Airship Works and base for the development of R101. The music itself is classy, intelligent and varied in style, opening with a salvo of piano before a strident synth part is introduced, and although at first the album sounds confusing, as you play it afresh it seems to unfold itself somehow and everything makes more sense as themes emerge and gain prominence. It is, after all is said and done, a really imaginative release which shows the rapport that this band of musicians have together. 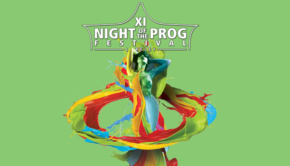 The opening song, N, continues in a most satisfactory manner with lots of great guitar flourishes and subtle yet effective keyboard parts and an imaginative and stirring chorus that leaves an overall good impression. Imagine a 90’s version of Yes with songs that are worth hearing and you get the picture, this is a fabulous release and the sleeve artwork is stunning, both imaginative and captivating, and certainly a class apart. Second song, Voice in My Head is a shorter affair but equally memorable with a strong chorus and great sounds. Chasing Rainbows follows and is even better, if such a thing were possible, with a very strong chorus and great backing this track is a great song with guitar woven into the mix in a subtle yet effective way, all set against John Young’s keyboards making it very memorable indeed and showing that Lifesigns have both the songs and the chops to pull it off in spectacular style. Different is next, opening with moody keyboards and percussion, there’s some great bass playing from Jon Poole on this song too. A strong vocal line is then added, giving the song depth and structure, and there is a fine sound and tone to it too, and an excellent middle section too, with some great guitar and keyboard work shining through. This is a CD you need to hear a few times to really get it as a cursory listen leaves you without the full panoramic scope of the music being made here, but that is time well spent as this music shimmers and shines like a vision of on oasis in a desert; it is glimpsed but takes a while to sharpen into focus. It is so worthwhile once it does emerge from the haze, this is a very cleverly mixed CD with great production values and thus subtle changes have significance making it a wonderful listen on headphones, nice and clear and well mixed with a pristine sound – a very impressive track. Next up is Impossible which is another shorter song with a lovely vocal – it almost has ‘Hit Single’ written all over it as its chugging beat and strong vocal would work well on radio, if such a thing would get behind a band like this. There’s a very tasty guitar solo that brings the song to a fine close before Cardington itself, an epic track and the highlight of the album with its use of radio broadcasts mixed into the narrative to create a strong story telling element. It’s mid-paced but very atmospheric in tone and stirring in its scope and ambitions, and it does not disappoint at all, rather it is a revelation and essentially a magnificent distillation of everything that this band is about in one classy and lengthily imaginative voyage. 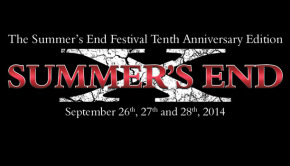 It’s a terrific end to what is a very satisfying and rewarding album. If you like your prog polished and crafted, this album will be right up your street. Most highly recommended indeed.